Pin It Thank you to the amazing jewelry artists who designed our wedding rings for us!!! 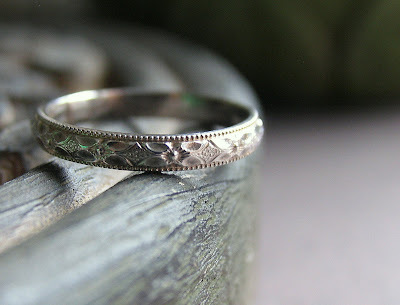 Laura from SimplyAdorning worked with me to create a wedding band to match my antique engagement ring. She did an outstanding job, and I love my ring!! The floral detail pattern is a close match to the design on the engagement ring. She was a pleasure to work with, and even went out of her way to find the floral pattern for me. Go to SimplyAdorning's shop to see her other handcrafted jewelry. 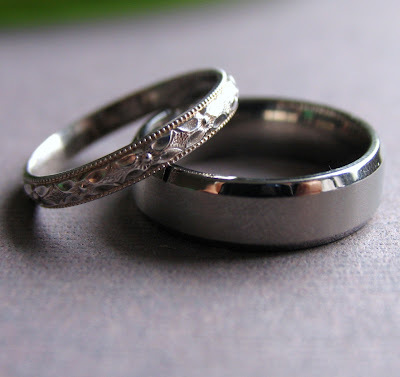 The husband and wife team of TitaniumKnights designed Matt's simple, stylish wedding band. 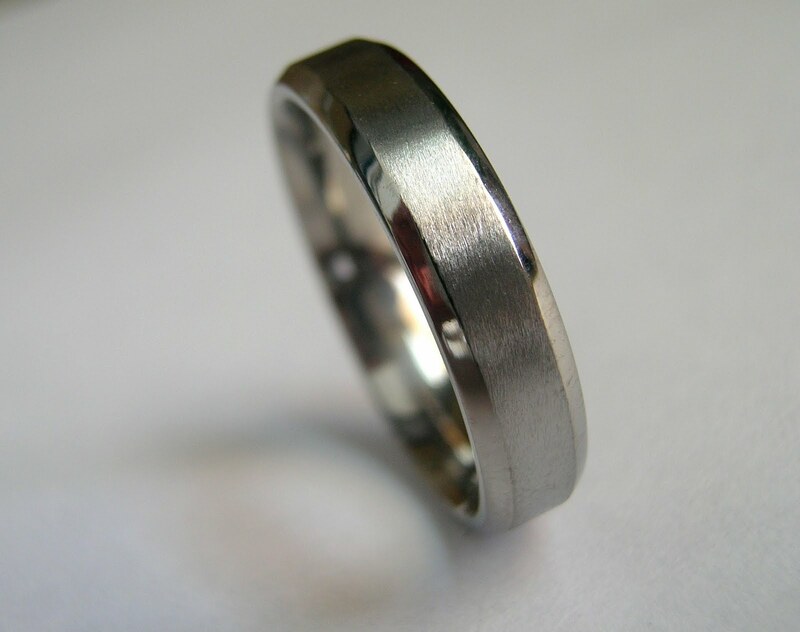 The titanium ring has a comfort fit bevel design, and features a two-tone finish. It is quite simple but beautiful, just like Matt! They will custom make your ring for you in any width. 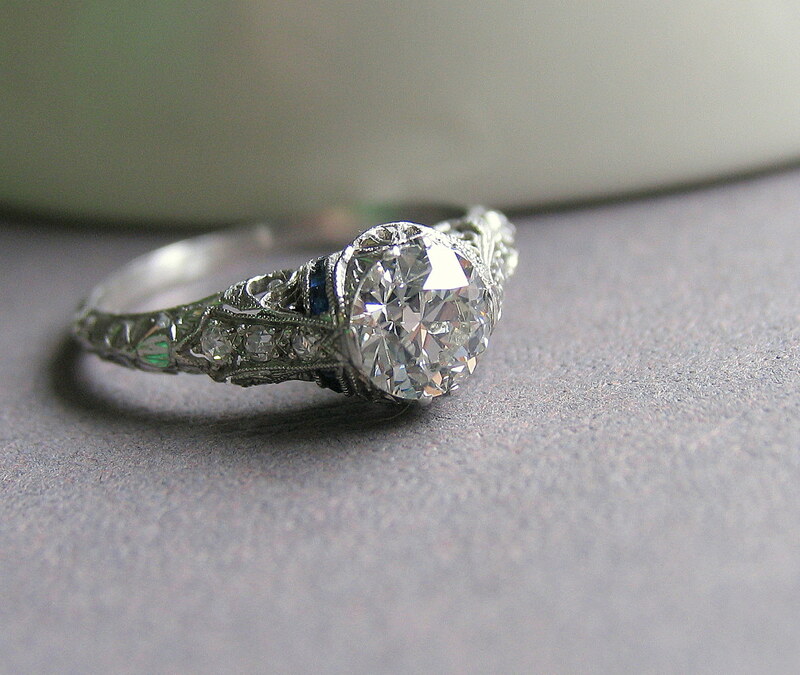 Matt did not want his ring to be too wide, so they were able to make the width 6mm. We had the ring in less than two weeks from the time we ordered it! Super Fast! My engagement ring came from Israel Rose in New York City. They have the widest range of estate and antique jewelry that I have ever seen! 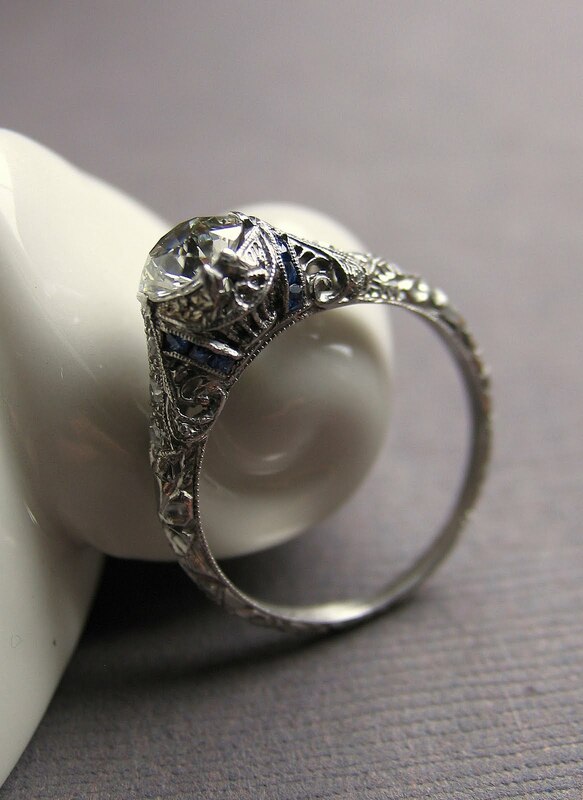 Their website is a dream to look at if you are into vintage jewelry. hey gorgeous, rings are beautiful and yours matches the engagement ring perfectly! ;o) And what a fab ring it is! Personalized Name Rings This is fabulous and beautiful. Really good !!! You can find more unique and astonishing Fashion rings for women that astound you for a while. You can have it at your door in time. You only have to choose the suitable one for you from vast collection. Give a look. Nice post. Engagement rings are made to be special as they are directly linked to the dreams of any girls. Choosing Engagement Diamond White Gold Rings for a girl is always special.The ring that you have shown here is really beautiful. Nice collection of antique designs of rings. Thanks for sharing your ideas of rings. Thanks for such wonderful sharing information with us. I hope you will share some more information about Jewelry adjustable. Please keep sharing. If you have Share gets a Halloween jewelry, then your blog becomes awesome and unique. Please update your website I want to really like this design. Hi, Girl if you have a boyfriend and want to impress with different then I am here for you. You have got a low price and a beautiful gift for your boyfriend or partner. I have Halloween based rings and other product. A circle has no beginning or end and is, therefore, an image of infinity. It is unending, endless, simply the manner in which love should be for some, the wedding band is worn on the fourth finger of the left hand. This is on the grounds that the vein in this finger was accepted to lead specifically to the wearer's heart. en.tatias.com is the best provider of titanium jewelry. They provide High-quality Titanium jewelry for men & women, including wedding bands, engagement rings, casual rings, and earrings. Nickel-free natural & black titanium.